Lawsuits Mount As Apple Manages Fallout From Revelation Of Slowed iPhones While Apple's apologies and response to its slowing down of older phones might help on the public relations front, the legal issues are another matter. Owners of iPhones from several states sued Apple Inc. for not disclosing sooner that it issued software updates deliberately slowing older-model phones so aging batteries lasted longer. Apple had a message for its customers this past week: "We apologize." Customers have been angry ever since the company confirmed its software updates slow down older iPhones with aging batteries. 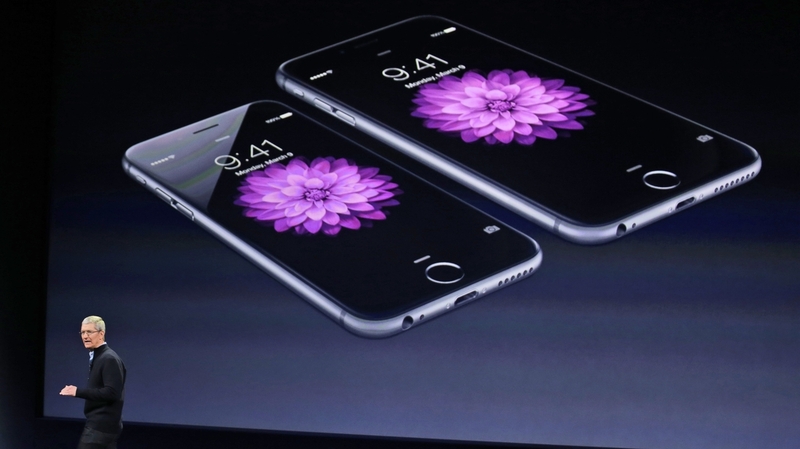 Apple says it did that to prevent those iPhones from shutting down unexpectedly. While this apology might help on the public relations front, the legal issues are another matter. Apple is facing a number of lawsuits over the issue from iPhone owners in states including California, New York and Illinois. There's also a lawsuit from customers in Israel and one from a French consumer rights group. Broadly, the lawsuits cover contract law claims — saying that Apple harmed something the consumer owned and wasn't transparent about it — as well as consumer protection violations. "You changed my phone in a harmful way [and] didn't tell me you were doing that," Rory Van Loo tells NPR's Lauren Frayer. Van Loo is a law professor at Boston University who focuses on technology and regulation. The claims allege that the deception may have caused consumers to buy a new phone when instead they could have just bought a new battery. For the plaintiffs to succeed in the fraud claims, they will need to prove that Apple intended to promote new phone sales by slowing down old phone sales. "For all claims [plaintiffs] will need to prove some kind of harm," Van Loo says. "They're going to need to show that Apple intentionally withheld information about slowing down the phones" and that customers would have made a different decision. Though these lawsuits face a bit of an uphill battle, Van Loo says Apple should be nervous. "For one, Apple has lost a number of cases across the country on some similar arguments in recent years," he says. In a lawsuit first filed in 2015, iPhone 4s users claimed they were forced to download an update that made their phones buggy and unusable. Apple tried to get that case thrown out, but last month a judge ruled against the company. Apple's argument, and one that they Van Loo says they may use again, is that users are told in the fine print of software updates that "things may go wrong." "Apple is not going to be protected by what they put in the fine print," he says. "You have to be very specific about what you say in the fine print, and as far as I'm aware, it didn't anywhere say, 'We may slow down your phones with our updates.' "
After the battery issue came to light, Apple apologized to customers and said it would offer discounts to replace old batteries. The company also said new features are rolling out "that give users more visibility into the health of their iPhone's battery, so they can see for themselves if its condition is affecting performance." While good news for future customers and in the court of public opinion, Van Loo says it doesn't free them from the potential legal liability. Apple's apology "is not going to protect them from what they did last month and last year," he says. Despite the criticism and lawsuits, Apple's explanation and response to the battery concerns does not include any indication that older phones using old batteries will stop slowing down.